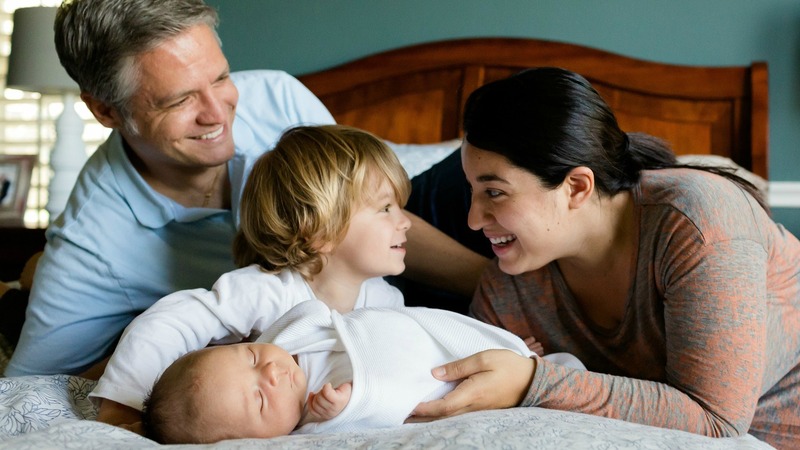 What does Shared Parental Leave mean for your family? New legislation brings great news for expectant parents this week. U.K. couples with babies born (or placed for adoption) on or after April 5, 2015 may be eligible for Shared Parental Leave — splitting the time off work to look after their child. Since 2011 new dads have been entitled to ask for unpaid paternity leave for up to 26 weeks after their partner goes back to work but only a tiny percentage of them opted for it — perhaps because many of them didn’t realise it was a legal option. Now new legislation allows parents to take a year off however they like, splitting 37 weeks of statutory parental pay between them. This flexible option is a big step forward for modern families, with the typical family continuing to move away from the traditional setup of a father who worked and a mother who stayed at home to bring up the kids. Parents can decide between themselves how they want to share the care of their child in the 12 months after birth or adoption. For example, you could both be off work at the same time or take it in turns to have leave periods. To be eligible for Shared Parental Leave, a parent must be an employee and pass the continuity of employment test (i.e. have worked for the same employer for at least 26 weeks at the end of the 15th week before the week in which the child is due, or the week in which an adopter is notified of having been matched with a child for adoption, and is still employed in the first week that Shared Parental Leave is to be taken). To be eligible for Shared Parental Leave, a parent must have worked for at least 26 weeks of the 66 weeks immediately before the due date and have earned more than £30 per week for 13 of the 66 weeks. To share the leave, both parents must meet the eligibility criteria. If one parent is self-employed they will not be entitled to take any leave but, if they pass the employment and earnings tests, the other parent can still qualify. Two weeks of paid Paternity Leave will still be available to qualifying fathers and the partner of a mother or adopter. Visit GOV.UK to find out more about Shared Parental Leave. Why do professional women find it harder to adjust to motherhood?